The Amici Curaie Paralegal Programme is pleased to announce the opening of their “Temporary Foreign Workers’ Uncontested Desk Order Divorce Program” on June 6, 2015. The clinic helps Temporary Foreign Workers (“TFWs”) complete their application for an uncontested divorce order with the Supreme Court of British Columbia. The clinic also helps TFWs who have children in their native country, and are in the process of applying to include their children, but not their spouse, in their application to become a Canadian permanent resident (“PR”). How does this Clinic help TFWs immigrate to Canada? For TFWs who do not wish to include their spouse in their PR application, Immigration Canada requires proof of separation, such as a divorce order. 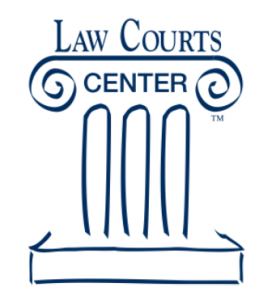 This clinic will help you complete your application for an uncontested divorce order. Uncontested divorce applications in BC can be done in eight steps. Each step will require specific documents to be prepared and submitted to the court registry. This clinic will help the TFW find out what step they are in and help them finish their applications. Please note that an uncontested divorce application can only be filed with the court after the TFW has been resident in Canada for one year. If you are a TFW who has not been in Canada for a year yet, we can help you prepare your application, but you must wait until the one year mark before you can file it. Who will help me complete my forms? The volunteers of Amici Curiae are skilled paralegals who have been trained in preparing uncontested divorce applications in British Columbia. A duty counsel lawyer will review the completed forms. Unlike appointments at West Coast Domestic Workers, no legal advice will be given at this clinic. There will be at least one volunteer each week who speaks Filipino. When and Where are the Clinics? Appointments are Saturday afternoons at 2:00pm and 3:00pm at the Justice Education Society at the Provincial Law Courts (Room 260, 800 Hornby Street, Vancouver). Appointments are one hour long. The cost of each appointment is $25.00, which must be paid in cash prior to the session. The cost does not cover court filing fees and other application expenses. Appointments are required and drop-ins will be asked to make an appointment for a future date. You will receive a response within four business days to confirm your appointment and inform you what documents you must bring to your appointment. The clinic cannot serve you if you do not have an apointment or bring all the required documents. We are now booking appointments for the June 6, 2015 and June 20, 2015 clinics.